As a sort of follow up to yesterdays post, it was brought to my attention that Frank Reilly and some of his students were involved in the creation of a mail correspondence course similar to the Famous Artist's Course. This info was passed on to me by Glen Orbik, and this is the story as he has heard it. "The course never actually happened as Reilly died before he could start it up completely. let Steve talk him into coming out to see his upstairs room full of his dad's paintings and that's where Steve got the chapter of the course by Gannam. Frank Reilly's name was only noticed by Steve secondly. Later that same year ( 2006) Stuart Ng mentioned that he had found a copy of the whole course. I believe the story was that it came from an ex-Disney artist who had put more or less a complete version of it together on his own. He may have been one of the instructors listed - I'm not certain. A friend of mine who looked it over said it was very impressive and all there except for the Russell Patterson chapter." 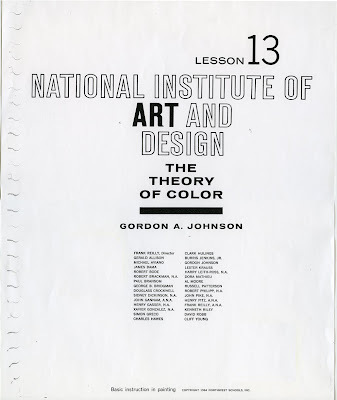 So basically what I would like to know is if anyone out there has seen this course or has any information on it. 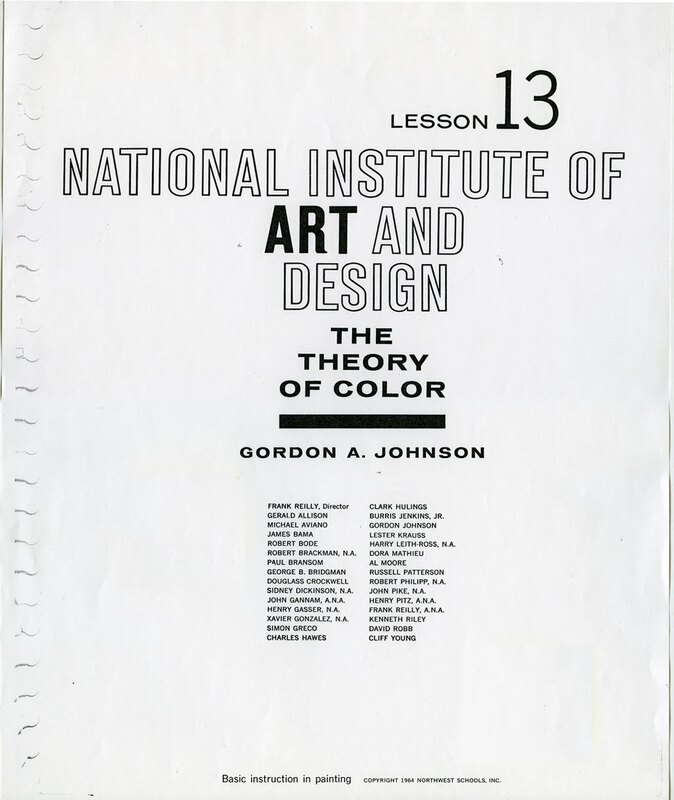 B)The course was copyright 1963-64 by Northwest Schools Inc.